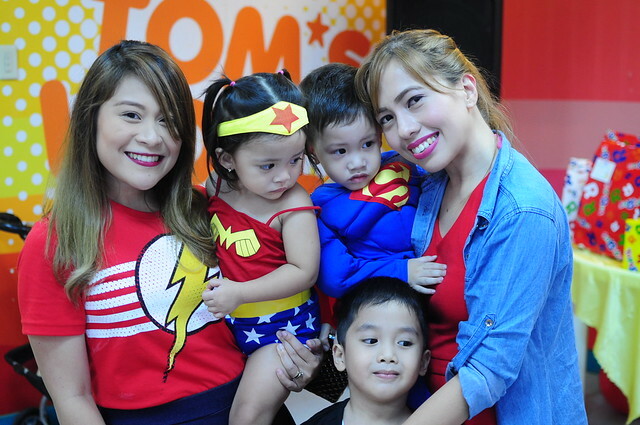 "Hello Roviedear, okay ba sa Tom's World? Maganda ba magparty don? Sulit ba?" 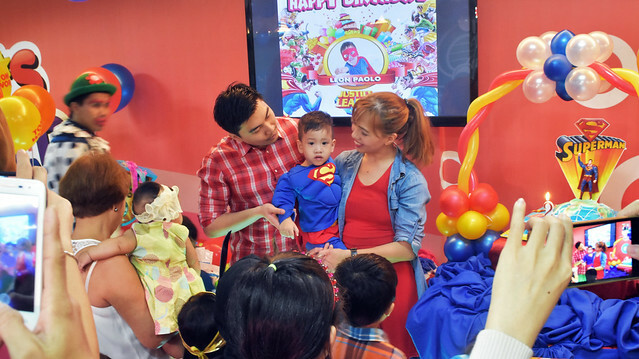 Those are some of the questions I got when I started posting photos taken during my son's second birthday party last Saturday at Tom's World Galleria. My answer? Yes, the party venue was perfect for my theme. 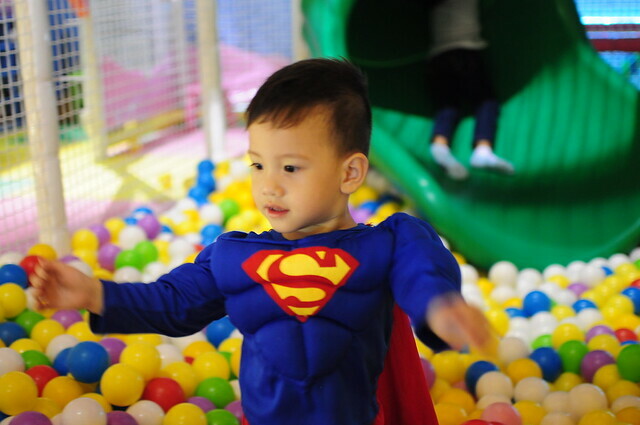 Yes, the party package was very reasonable, and most importantly, planning and executing it was stress free. 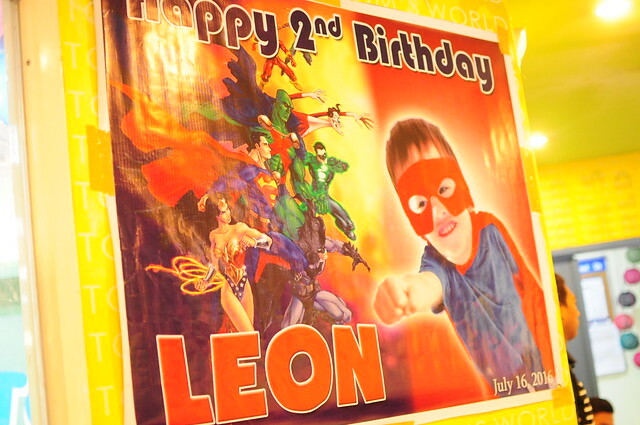 Throwing a party for Leon's second birthday was not originally planned. 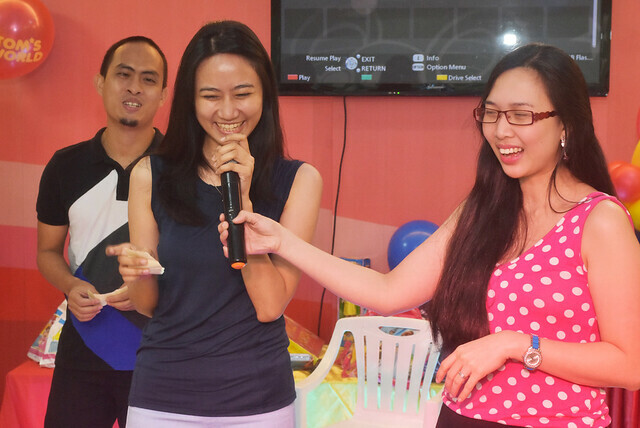 We intended to have a simple celebration since were still recovering from the expenses we spent in Australia three months back. However, seeing him dance around, run and play like the hyper toddler that he is, I asked the husband if we can throw him one. Fortunately, he agreed but only if we can keep it within budget. 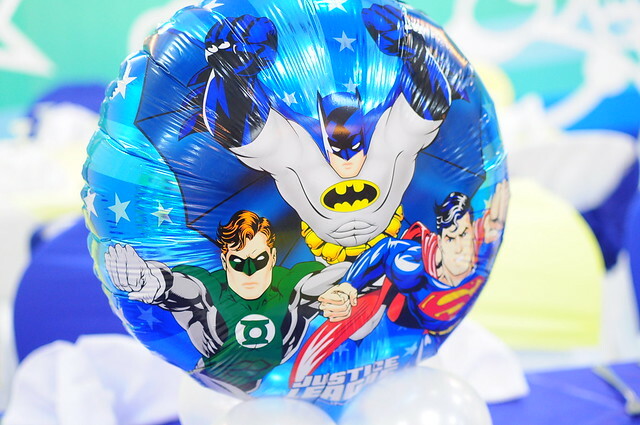 How to throw a party within budget? 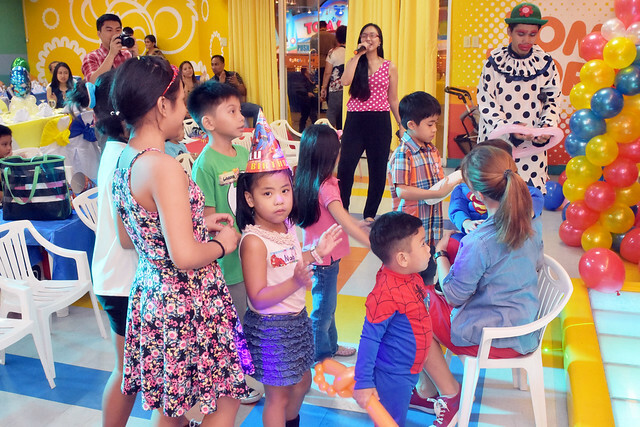 When you talk about a budget kiddie party, the first thing you'd consider is throwing it in a fast food / restaurant that has an affordable party package. I've canvassed and considered throwing it in either Jollibee, Mcdonalds, Shakeys and Kenny Rogers, however Paolo and I felt that those places seemed to be the common and usual party venue. 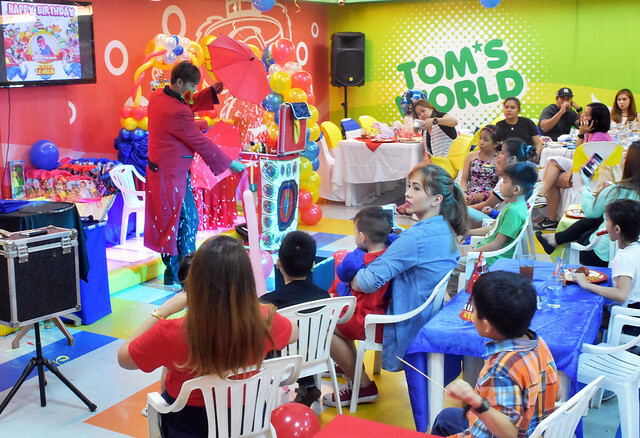 We wanted it to be unique but still within budget and through intense online searching and canvassing came the discovery of Tom's World party package. 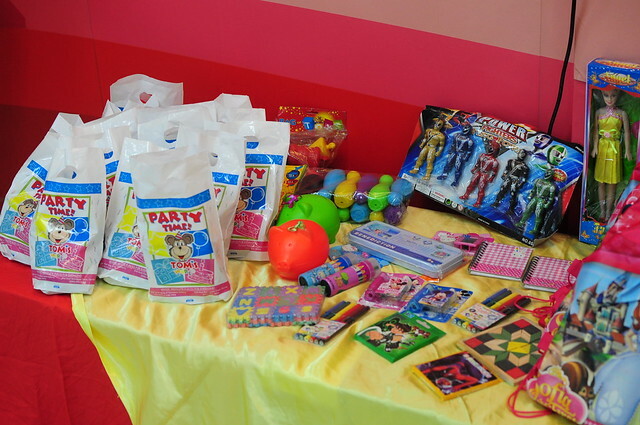 I came across Tom's World party packages online. 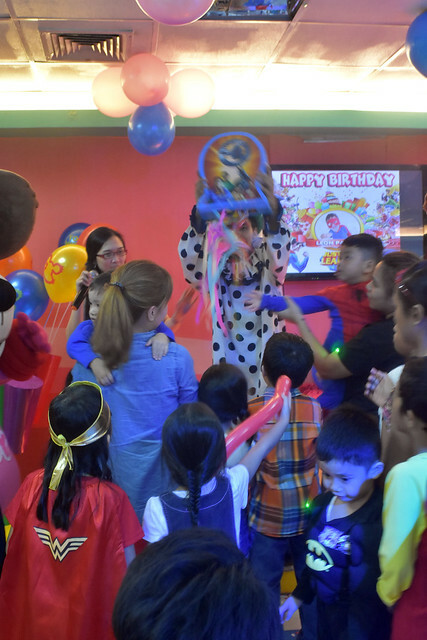 At an affordable rate of Php 13,250, you can hold your party at their function room (either in Robinsons Galleria Ortigas or Robinsons Imus, Cavite) that can hold up to 100-110 pax (ideal for 80 adults, 20 kids). 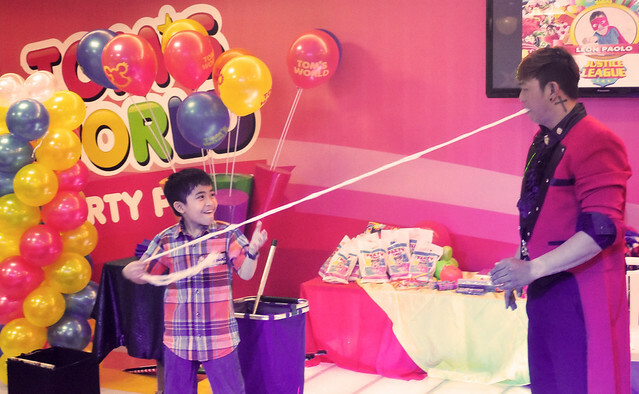 The package includes free party hosting, free clown, free mascot appearance, party invites, lootbags, game prizes, balloons, entertainment (choice of magician, ventriloquist or facepainting), free use of sound system. Therefore, IT WAS SULIT!! 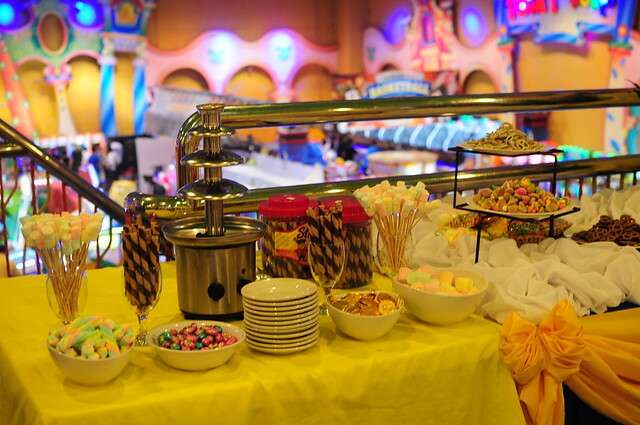 I booked Kubiertos Catering for the food for 80 adults and 20 kids (Tom's World have accredited food partners for kiddie party and Kubiertos was one of them). 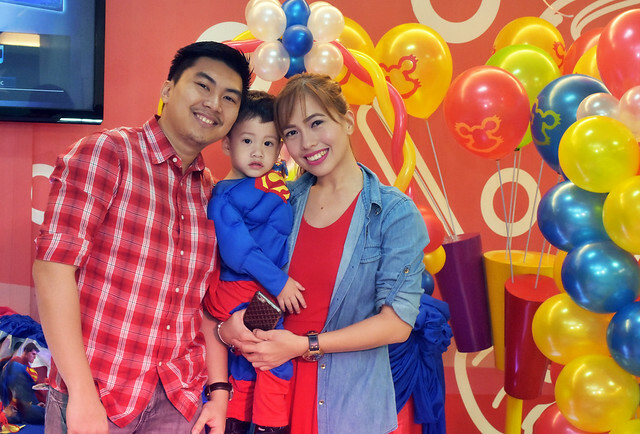 The total food cost was Php 23,000 that came with a free chocolate fountain, tarpaulin, balloon decors and party decoration as well. 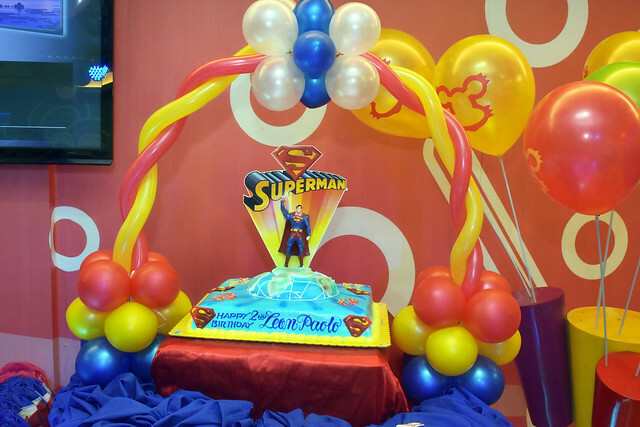 I ordered cake from Goldilocks (Goldilocks and Red Ribbon are the onlyaccredited cake supplier of Tom's World) which costed me Php 1,890. 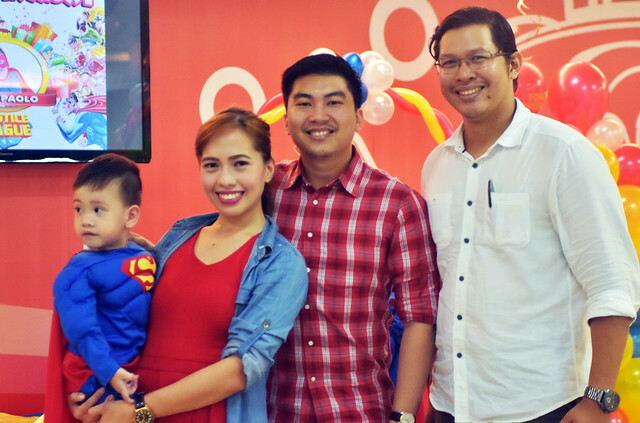 I also brought additional customized loot bags, candies and supplies for the giveaways and candy buffet that costed me around Php 2,000. Planning the party was definitely stress free. 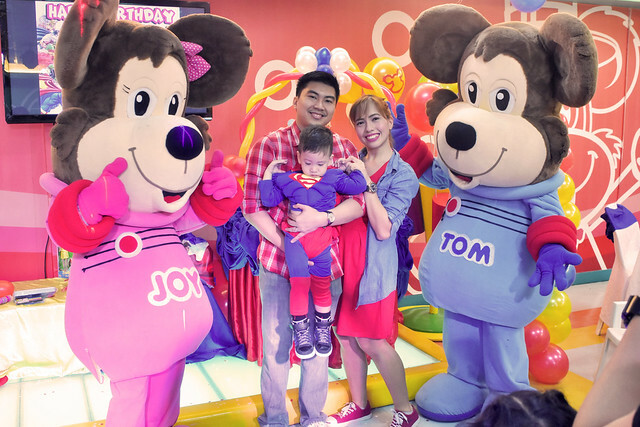 I was in constant communication with Ms Raquel, the very accommodating party manager of Tom's World who agreed with each of the details I gave to her. 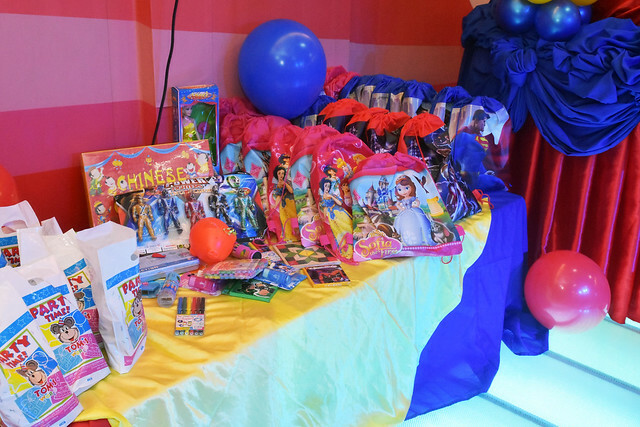 She also helped me in the last minute arrangements I did with the loot bags and the candy buffet. 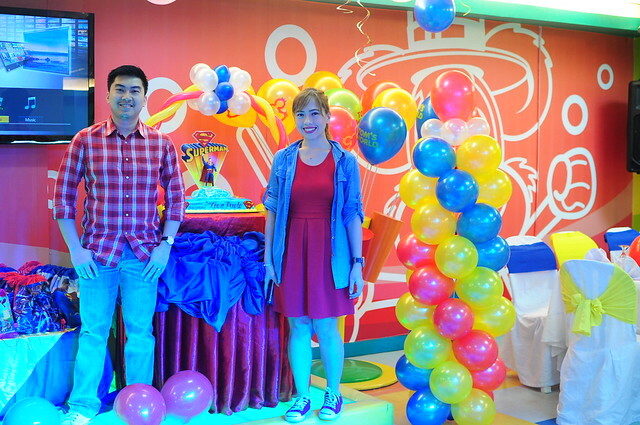 She also convinced me to add some dancing lights for the parry (Php 1,000) that the kids will love (and yes they did). 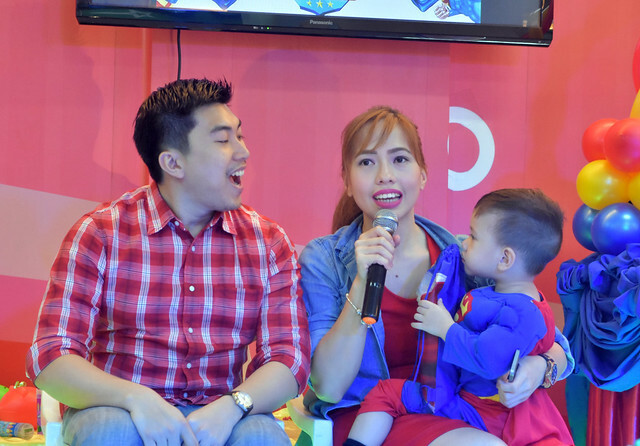 I was even surprised to learn that she was also the host for the event and was very flexible in the changes that we had to do for the program. The traffic in the Ortigas area was really bad and most of my guests (even the celebrant who came with my in laws) arrived very late. Instead of starting at 3pm, we had to move the program to 4 and extended it until 6pm. Most of our guests arrived shortly after 4:30PM just in time for food and magic show. (I honestly thought no one will arrive and was about to cry). Ms. Raquel of Tom's World adjusted the program and delivered it flawlessly. The program was fun-- a few games for the kids and the adults, followed by eating time, then magic show (which the kids and the adults loved!!! ), then mascot appearance, to candle blowing to piñata and dance presentation. 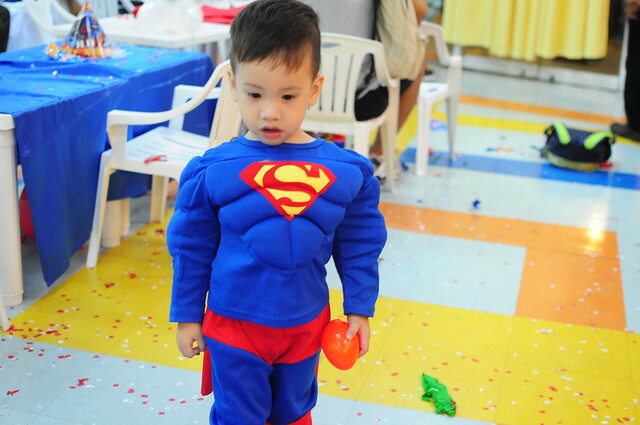 It was a great party and much better than Leon's first birthday (honestly speaking). 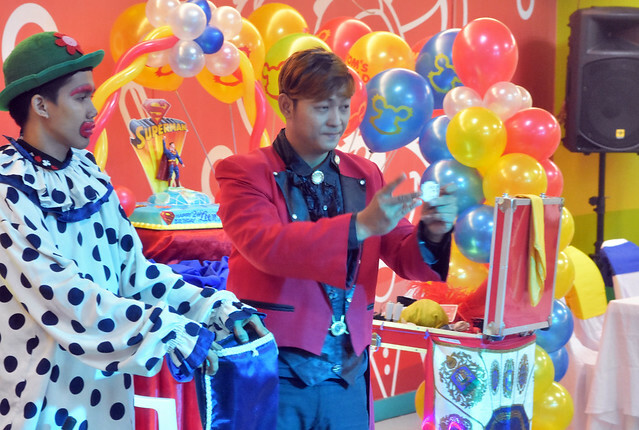 The program may have started (very) late but the host, magician and kiddie guests made up for it. 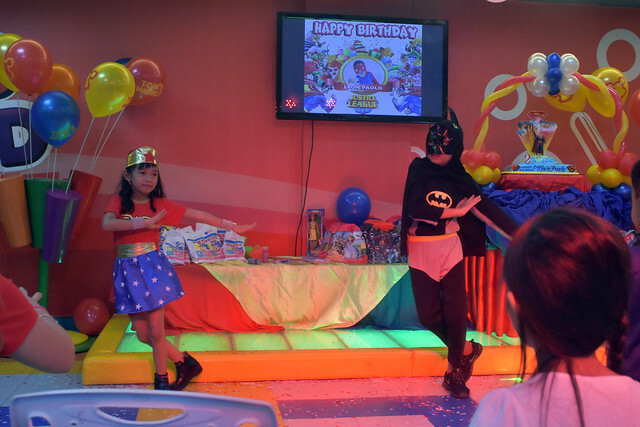 Everybody, including the older guests enjoyed the party and repeatedly told me how much the magic show impressed them. 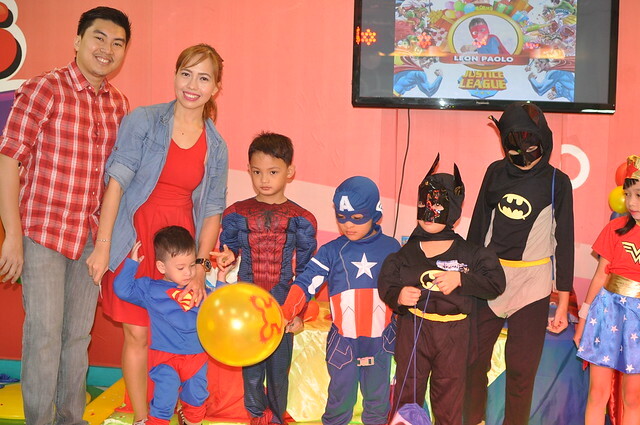 I also appreciated all the kids (and the parents) who cooperated with me and wore their superhero costumes -- making the party more special and remarkable. 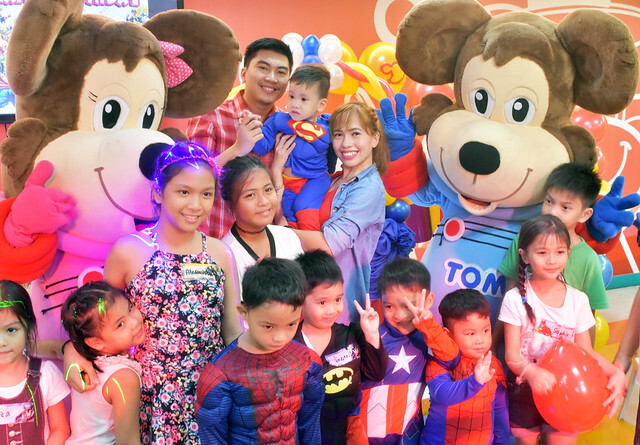 On top of the lootbags and unlimited access to the big rides, I also gave the kiddie guests 10 tokens each to enjoy the arcade games in Tom's World. The 5 kids who also wore costumes were given access pass in Austin land. Controlling Leon was a bit hard during the party cause he kept on insisting to go outside to try the rides in Tom's World. 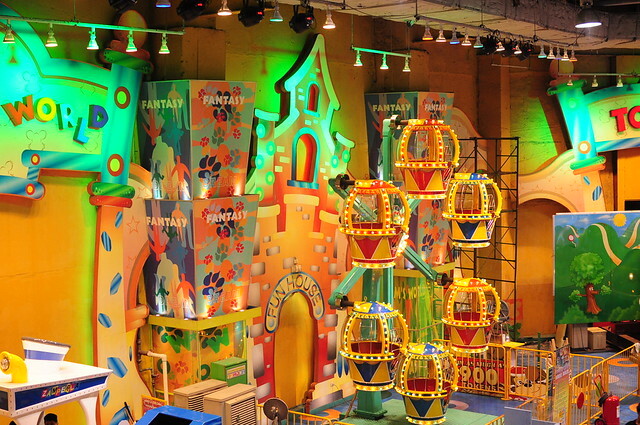 It was probably the only disadvantage I saw cause the rides outside was a bit distracting. Yet all in all the venue was fun and exciting. All in all I can say that the party was a success. 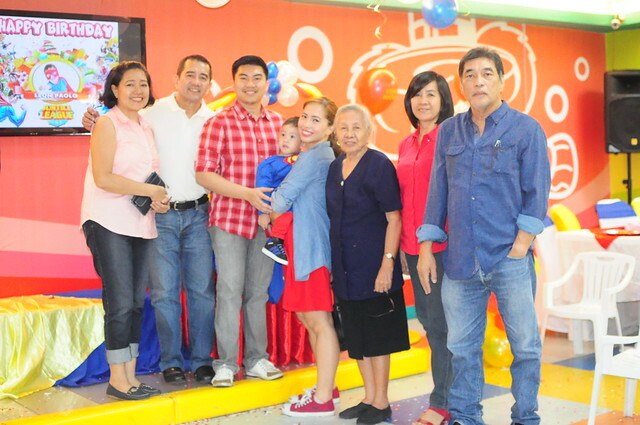 I really appreciated all the guests who came, despite he heavy traffic around Ortigas area. We also appreciated all the guests who arrived early and on time and patiently waited for the program to start. 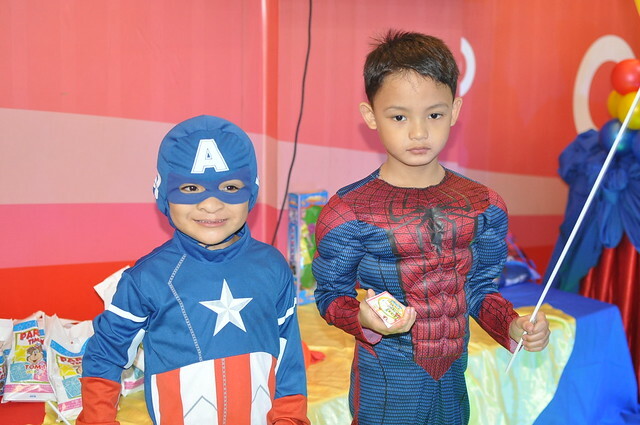 We are also grateful to all the parents who made an effort in letting their kids wear super hero costumes. We are grateful to our friend, Enrique Martinez who served as our photographer. 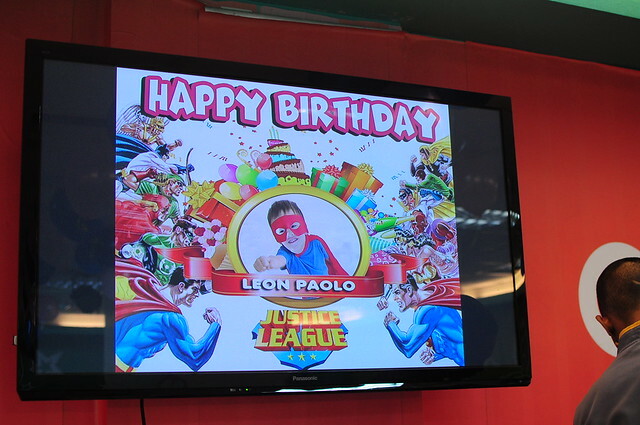 All the guests did not fail to make Leon and us feel loved.